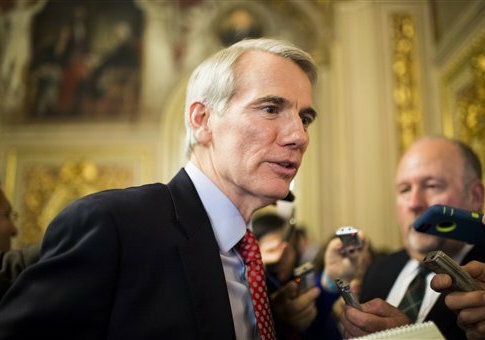 Portman’s campaign announced Tuesday that the incumbent raised $3.5 million for his reelection campaign and another $1 million for the Republican Party during the third quarter of 2016. The campaign will report more than $7.6 million in cash-on-hand just weeks before the November election. The campaign for Ted Strickland, Portman’s Democratic challenger, has yet to release its most recent fundraising totals. "The momentum behind Rob continues to grow as we set both Ohio fundraising and grassroots records having recently surpassed 4 million voter contacts," campaign manager Corry Bliss said in a statement announcing the latest fundraising figures. "As Democrats pull support from Ted Strickland’s failing campaign and non-existent field program, people across Ohio support Rob because he is getting results for Ohio families." Portman has consistently outraised Strickland in Ohio’s Senate race, which was once thought to be one of the most contested during the 2016 election cycle. Recent polls, however, have shown Portman pulling ahead of his competitor. Democratic groups have pulled advertisement buys from the state, a sign of their acknowledgment that Strickland is unlikely to defeat the Republican incumbent. Both the Democratic Senatorial Campaign Committee and Senate Majority PAC, a Super PAC associated with Senate Minority Leader Harry Reid (D., Nev.), have cancelled all ad reservations in Ohio save for those in the final two weeks before the election. Portman currently leads Strickland by roughly 13 points, according to a Real Clear Politics average of polls of the Senate race.